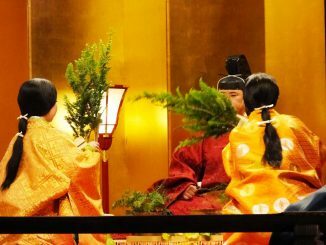 What Is Toka Ebisu Festival? 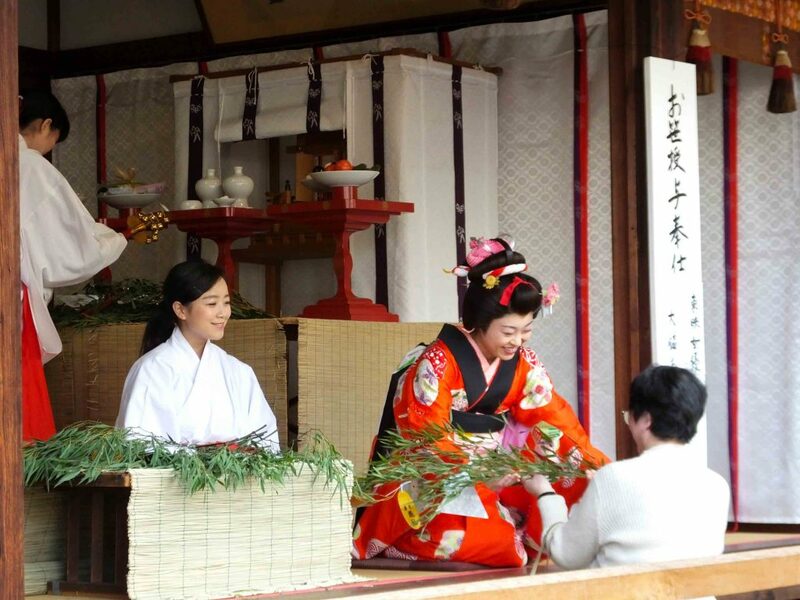 Toka Ebisu Festival is held at many shrines in western Japan from January 9th to 11th, while at Kyoto Ebisu-jinja Shrine, from January 8th to 12th. ‘Toka’ means the day of 10th, and the main day is January 10th. The main purpose is to pray for success in business. 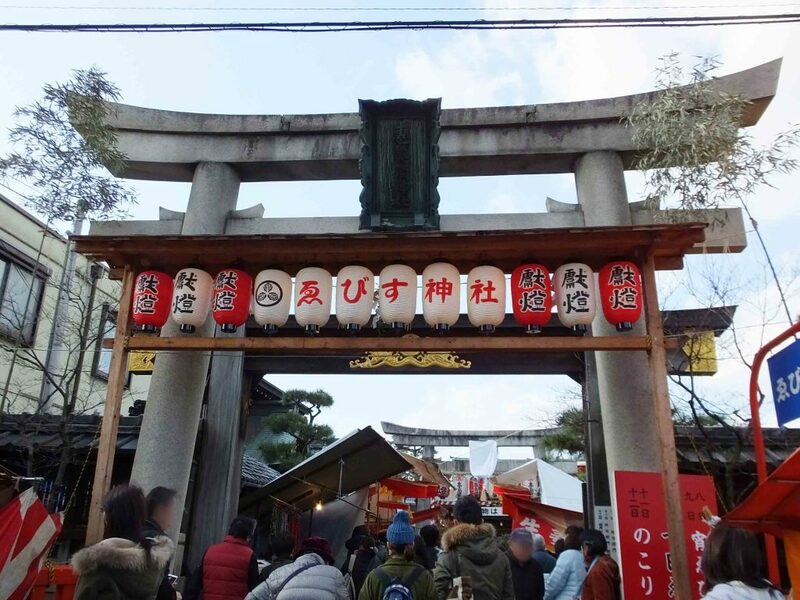 I went to Kyoto Ebisu-jinja Shrine on January 10th. 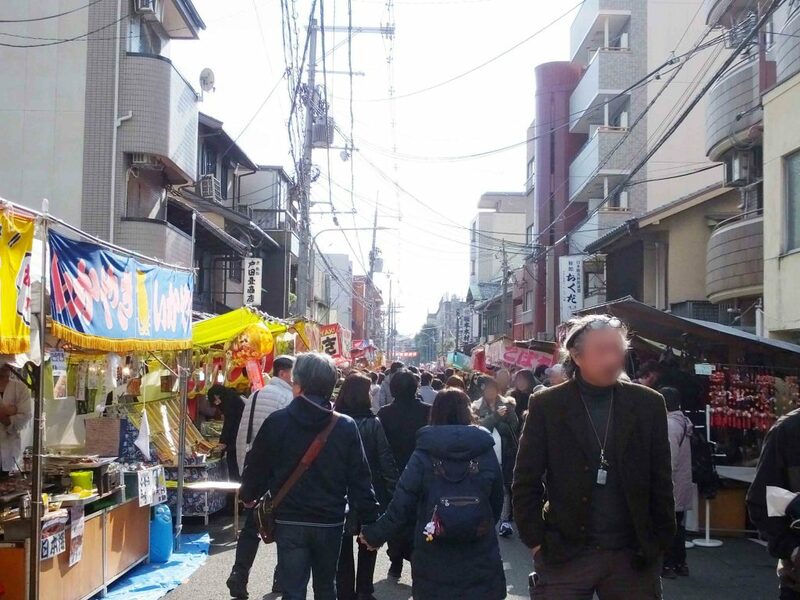 It was fun to walk on the narrow and lively street leading to the shrine. It had a fun atmosphere with food stalls. 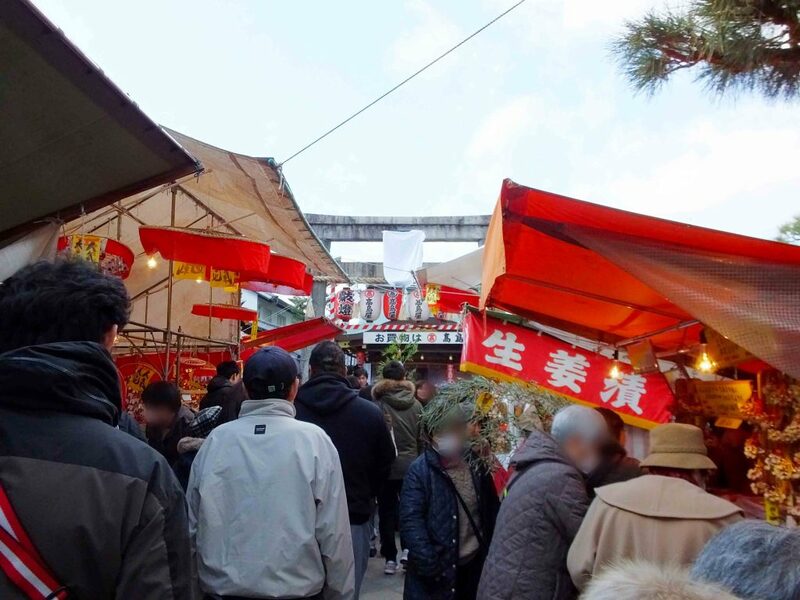 The food stalls continued beyond the first torii (a traditional gate of a Japanese Shinto shrine). I saw the name of the shrine on the lanterns, and was excited to go in there. One of Seven Deities of Good Fortune, Ebisu-sama is enshrined there. 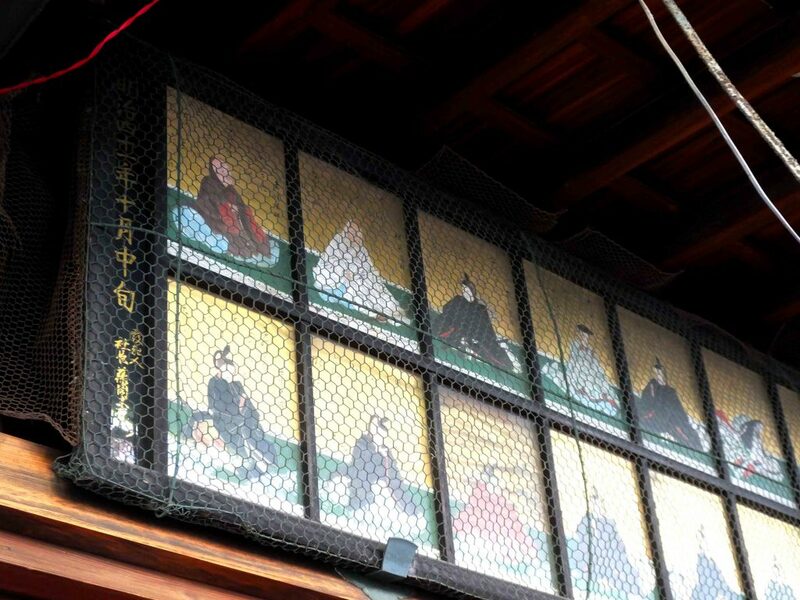 Usually, you can see the face of Ebisu-sama with a lucky rake and winnowing basket on the second torii. It is believed that if you succeed in throwing a coin into the rake or the winnowing basket, your wish will come true. On that day, however, they were covered with cloth because there were so many people that it was dangerous to stop under the torii. Here is the main sanctuary. The shrine is not large, and you can directly go there soon after entering the shrine. 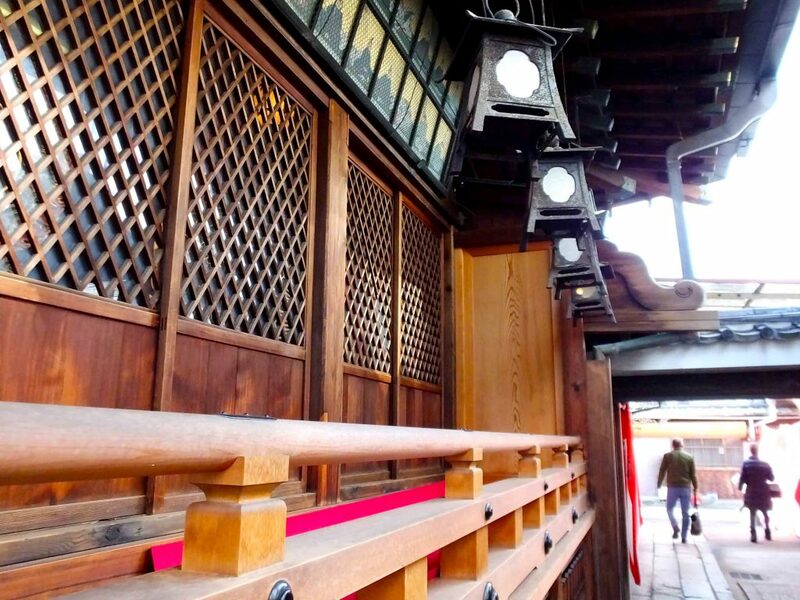 It is said that Ebisu-sama is old and doesn’t hear well, so gently knocking on a wall is a good way to pray to him. 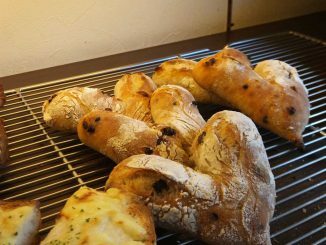 I think it is a little similar to doing ‘knock on wood’ and seems interesting, but I was not able to do it that day because it was bustling with people there. When you visit the shrine, look for the wall that people knock on. 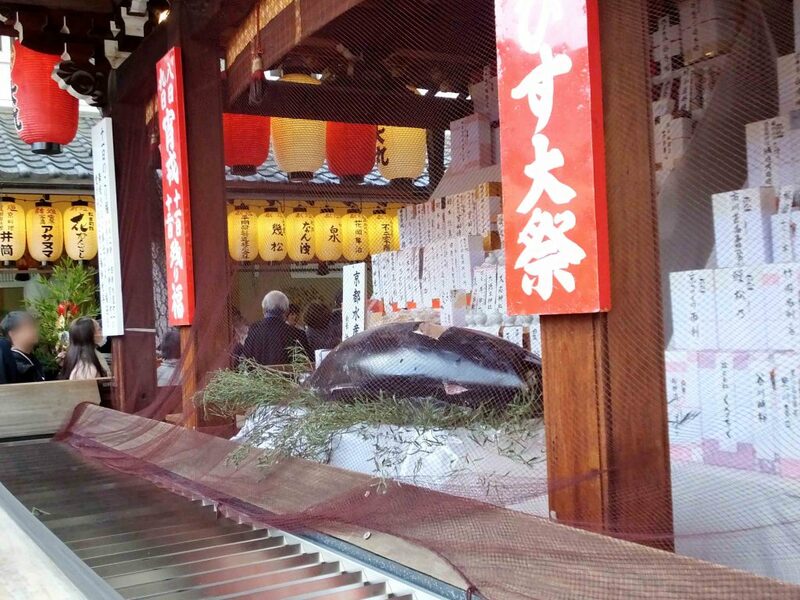 One of the features of the festival is a tuna dedicated to Ebisu-sama. You can see it at the main sanctuary. 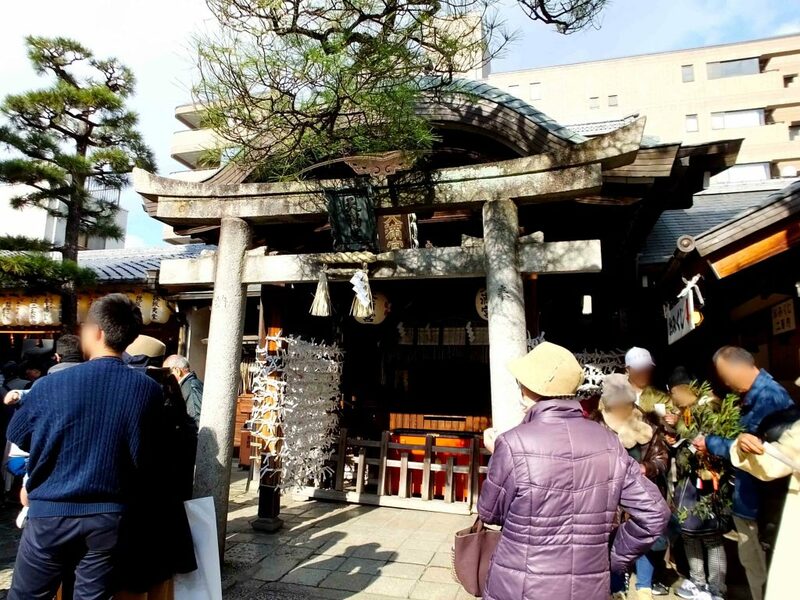 By the way, Kyoto Ebisu-jinja Shrine is one of the three most popular Ebisu-jinja shrines. 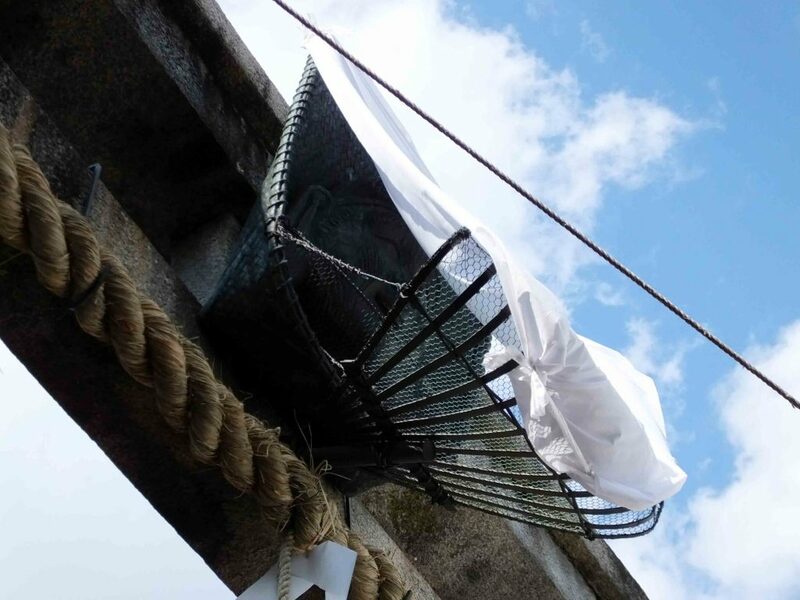 The most famous one is Nishinomiya Shrine in Hyogo Prefecture where the most popular tuna dedication is made. I see the big tuna at Nishinomiya Shrine on TV almost every year. The tuna at Kyoto Ebisu-jinja Shrine reminded me of that. Bamboo Branches Bring You a Good Luck? 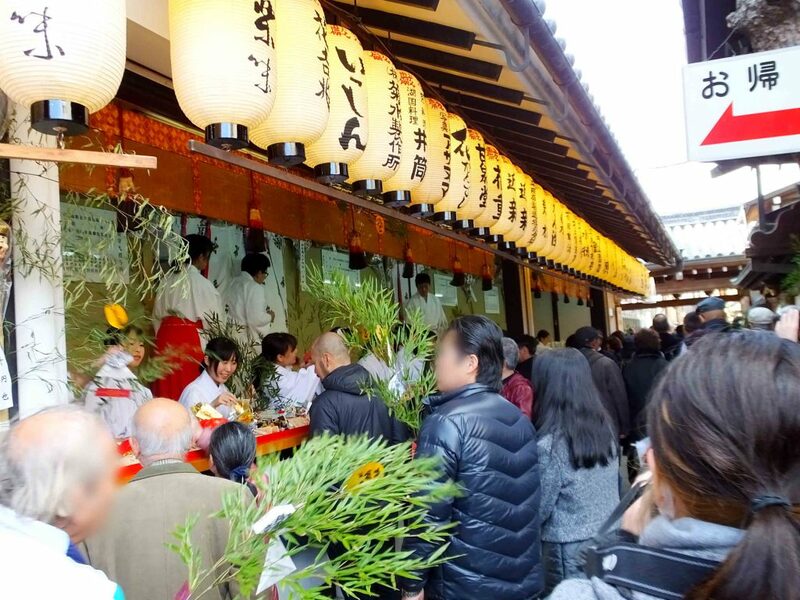 Many people buy lucky bamboo branches at Toka Ebisu Festival. In Japan, bamboo branches are regarded as the symbol of rise of family fortune and thriving business, because bamboo trees grow straight to the sky, and they are so flexible that they don’t break easily. 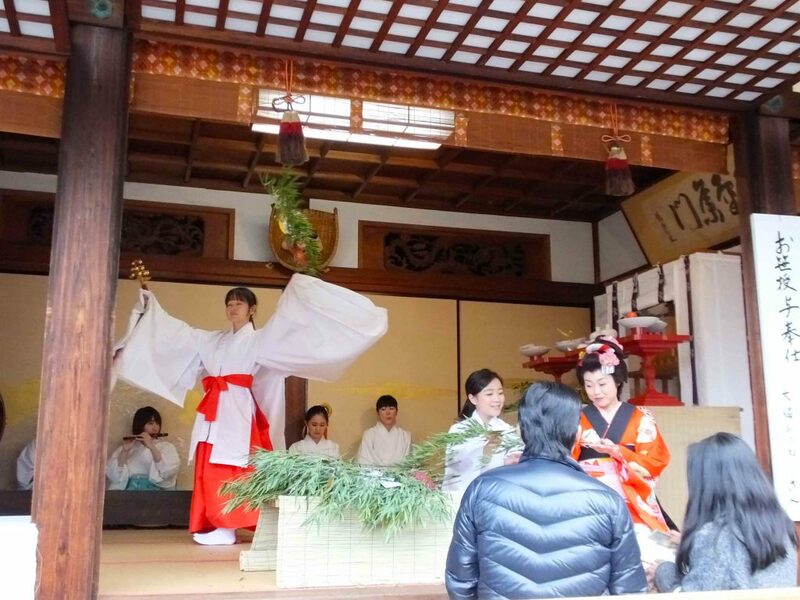 A shrine maiden was performing a ritual dance to bless bamboo branches. They sell lucky charms, too. People choose some charms and add them to their own lucky bamboo branches. You can also buy ema wooden plaques on which people write their wishes. 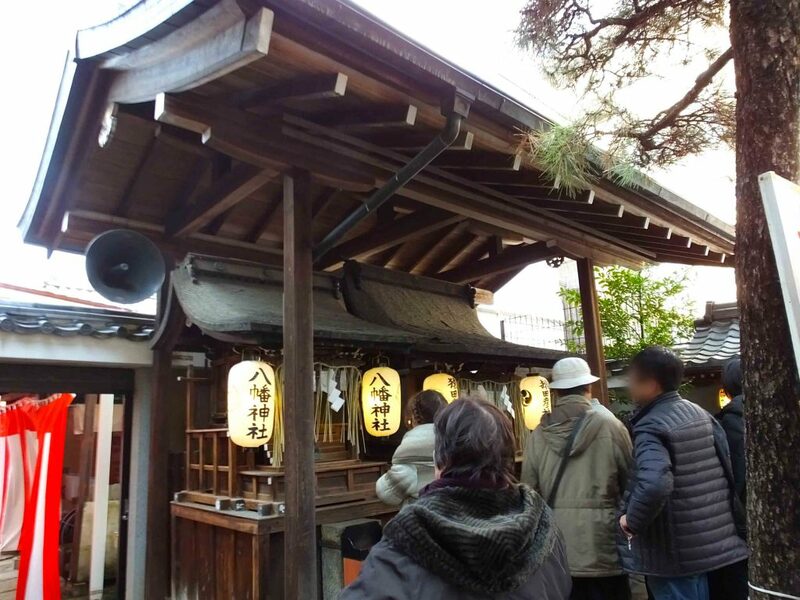 In Kyoto Ebisu-jinja Shrine, there is a small shrine named Komatsu Tenmangu Shrine. As well as many other ‘Tenmangu’ shrines in Japan, it enshrines the deity of learning, Sugawara no Michizane. By the way, there is Komatsu Tenmangu Shrine in Ishikawa Prefecture, too. Don’t mistake this for Komatsu Tenmangu Shrine here. 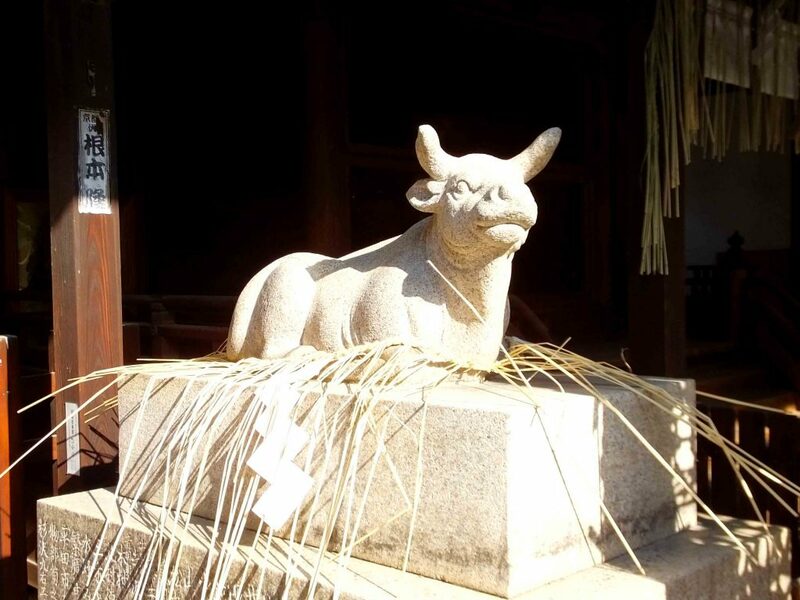 A cute cow sitting by Komatsu Tenmangu Shrine is a messenger of Sugawara no Michizane. Some people rub its head wishing to be more smart. 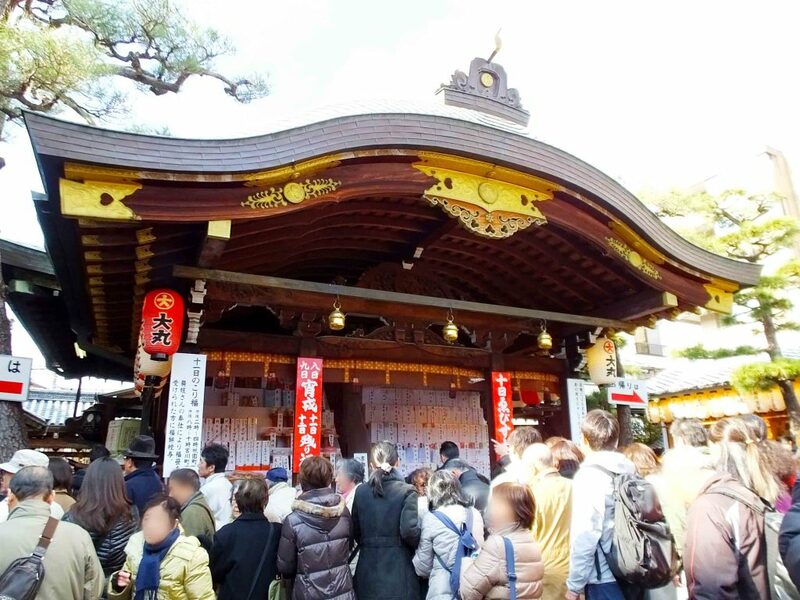 Komatsu Tenmangu Shrine is also known as a place where visitors pray to be with their precious people for a long time. There are some other small shrines in Kyoto Ebisu-jinja Shrine. It was crowded near the exit where there are Yawata-jinja Shrine and Sarutahiko-jinja Shrine. Again, it may be confusing. There are many ‘Yawata-jinja’ shrines in Japan, and there is also Sarutahiko-jinja Shrine in Mie Prefecture. While walking around the main sanctuary, I noticed the paintings of Thirty-Six Immortals of Poetry were hung high on the wall. 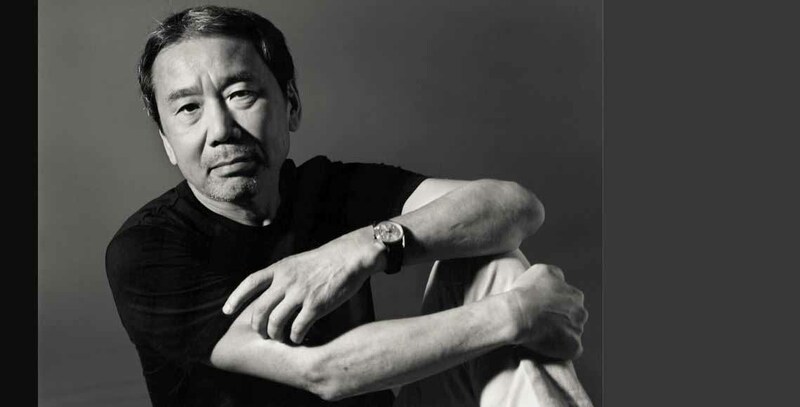 Sometimes you can see the set of portraits of them in temples and shrines in Japan. Kyoto Ebisu-jinja Shrine is small, but very interesting. 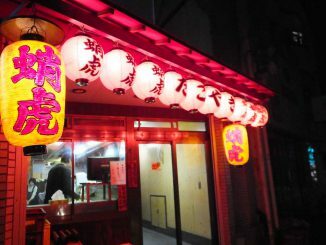 Moreover, it is located near the center of Kyoto City, so when you go there, you can also have a good time around the shrine. If you want to see the highlight of the shrine in a year, visit it on January 10th. It was packed with people, but a lot of fun!